Your privacy is important to us. Reputation911, our subsidiaries and affiliates (“Reputation911” or “we”) are providing this notice to describe and explain our online information practices and the choices you can make about the way your information is collected and used. To provide you with timely, high-quality information, we may also ask you to provide us with information regarding your professional interests and experiences with our products or services. Providing us with this information is optional. Personal data collected online may also be combined with information you provide to us through other sources such as product registration, call centers, or in conjunction with events such as trade shows, training seminars and conferences. Information that you supply will relate to the relationship that Reputation911 has with you or your organization. Receive e-mail alerts when key content about your Business, Brand and Personal Identity are Identified. Auto-populate form fields with personal information when you make online transactions or complete event registration forms. 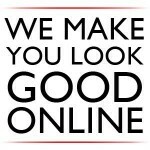 Occasionally, we may create a unique web URL link for certain visitors. If you visit one of these sites, you may find forms that are already filled out with your name, or other types of information you have previously indicated an interest in, based on information you have given us before. We may also personalize the content of newsletters, e-mail offers, invitations, or Reputation911 advertisements served to you on our third party partners’ websites, based on topics in which you have previously indicated an interest. We collect information about how you consume this type of personalized information in order to help us provide you with other information that is better tailored to your interests. If you choose to visit one of these personalized web URL links, you are agreeing to allow Reputation911 to collect information about your visits and also to associate that information with other information about you and your relationship with Reputation911. If you do not wish your information to be used in this way, do not accept the invitation to visit these sites. We may use other technologies to capture specific data, such as the pages you view, the items you download, the links you click, your access times, and your Internet Protocol (IP) address, domain name, and system configurations and settings, to help us understand how you use our site, serve you relevant content, and to assist you with questions you may have regarding our products and services. If you decided that you want to fine-tune the information that Reputation911 is providing to you, we invite you to update your Reputation911 profile. We may share the personal data you provide with other Reputation911 entities and/or business partners for purposes related to those described above. We will not sell, rent or lease to others your personally identifiable information. Reputation911 reserves the right to disclose any and all pertinent information to law enforcement or other governmental officials as we, in our sole discretion, believe necessary or appropriate. Reputation911 offers you the choice of receiving different types of communication and information related to our company, products and services. You may subscribe to e-newsletters or other publications; you may also elect to receive marketing communications and other special offers from us via e-mail. If at any time you would like to change your communication preferences, we provide unsubscribe links and an opt-out mechanism for your convenience. 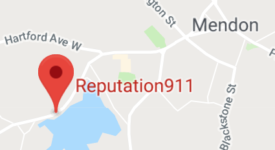 Reputation911 is concerned about the security of your information. To prevent unauthorized access or disclosure, to maintain data accuracy, and to ensure the appropriate use of information, we have put in place reasonable physical, electronic, and managerial procedures to safeguard and secure the information we collect online. We use encryption technology when collecting or transferring sensitive data such as credit card information. Credit card numbers are used only for processing payment and are not used for other purposes. Links to third-party websites from this website are provided solely as a convenience to you. If you use these links, you will leave this site. We have not reviewed these third-party sites and do not control them. Repuation911 does not assume responsibility for any of these sites, their content, or their privacy policies. Reputation911 does not endorse or make any representations about them or any information, software or other products or materials found there, or any results that may be obtained from using them. If you decide to access any of the third-party sites linked to this site, you do so at your own risk. If there are updates to the terms of Reputation online Privacy Statement, we will post those changes here and update the revision date in this document so that you will always know what information we collect online, how we use it, and what choices you have. Your continued use of ‘ website following the posting of changes to this Privacy Statement means you accept those changes. By using Reputation911 website, you signify your assent to this Privacy Statement.